Digital and interactive design, in which computer-related skills are employed to simplify complex work processes, is a vital area for designers to venture into. There is a growing demand for it and designers who focus on it will help to nudge Singapore's design industry to be more market ready and globally competitive. One company already active in the area is Essential Works. In 2013, medical device firm Delmedica wanted to update the design of its product that tests for inflammation of the airway for asthma sufferers. The firm applied for a DesignSingapore Council (Dsg) grant to help pay for the digital and interactive design needed. The grant enabled Delmedica to hire Essential Works, a consultancy that specialises in product design projects that harness digital and interactive media. Essential Works came up with a sleeker design that looks like a child's toy for blowing bubbles. The user exhales into the mouthpiece, which is hooked up to a smartphone or tablet, which runs an app that tracks the user's results over time. 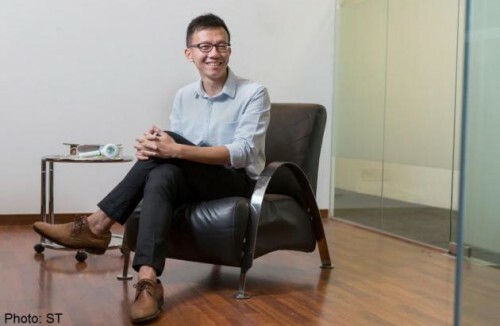 Mr Daniel Yap, 39, director of Essential Works, says: "The most important technical requirement was that the time to take a reading needed to be improved." The first-generation model needed up to four minutes to generate a reading. The second-generation model, launched in January, solved the problem by generating a reading in less than a minute. This was done by changing the software and cutting the number of mechanical parts in the device. Another client, Immersive Play, also benefited from a Dsg grant to hire Essential Works. Essential Works created for its client a game-based audio-visual system that teaches children about music via interactive play. Known as the Music Mage Learning System, the yet-tobe-launched game comprises seven figurines connected wirelessly to a computer running a game. Children learn about music by responding to the light and sound cues emitted by the figurines and the computer. Similarly, Poh Li Heng Construction was able to harness design innovation when it wanted to create a system to monitor and analyse data tracking the use of its rental construction equipment. It applied for a Dsg grant to engage Essential Works to design and produce a system to track the loads carried by its lorries.